François Halard has photographed the most unimaginable interiors. The photographer has worked for Vogue and countless interior magazines documenting stately homes and the houses of his celebrity friends from David Hockney to Cy Twombly. It’s fair to say that François has documented the digs of art dynasty. 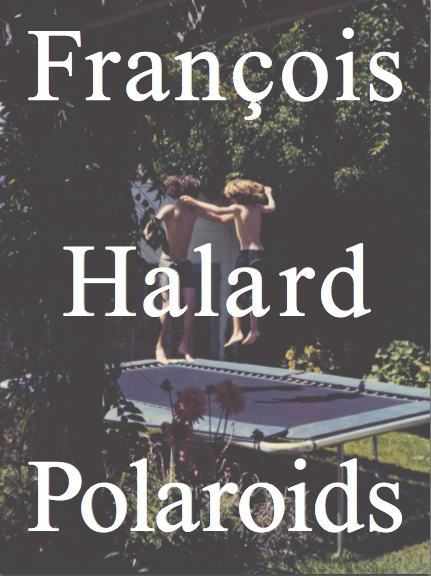 However it is his personal polaroids that piqued the interest of publishers The Name Books, in its publication François Halard Polaroids. Taken over the last three decades the publication dives into François’ archives releasing a selection chosen from 20,000 images. The book puts the snapshot aesthetic of his polaroids at its forefront, the images are enlarged but still retain the atmospheric glow of an instant photograph. Natural light occupies the majority of images from idyllic gardens, a mammoth pool in the Texan desert and of course some very plush interiors. In the centrefold of the book the images are reduced in size with short descriptions of the locations, including Cindy Sherman’s studio in New York, the gardens of Houghton Hall in Norfolk and portraits of his parents in Provence, France.